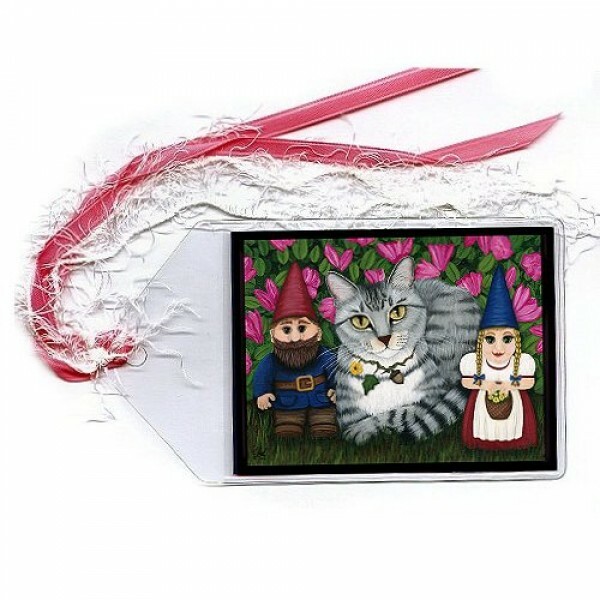 Garden Friends - Note Card - A sweet silver tabby cat befriends a pair of whimsical garden gnomes. 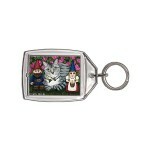 T..
Garden Friends - Keychain - A sweet silver tabby cat befriends a pair of whimsical garden gnomes. Th..
Garden Friends - Magnet - A sweet silver tabby cat befriends a pair of whimsical garden gnomes. 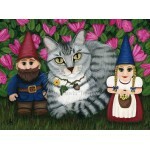 They..
Garden Friends - Prints - A sweet silver tabby cat befriends a pair of whimsical garden gnomes. They..
Garden Friends - Limited Edition Canvas Prints - A sweet silver tabby cat befriends a pair of whimsi..
Garden Friends - Bookmark - A sweet silver tabby cat befriends a pair of whimsical garden gnomes. They pose together for a charming portrait in front of a blooming azalea bush. 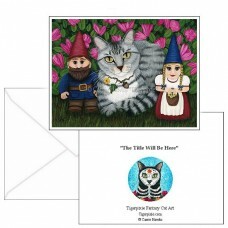 Garden Friends - Note Card - A sweet silver tabby cat befriends a pair of whimsical garden gnomes. They pose together for a charming portrait in front..
Garden Friends - Keychain - A sweet silver tabby cat befriends a pair of whimsical garden gnomes. 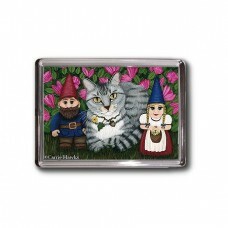 They pose together for a charming portrait in front ..
Garden Friends - Magnet - A sweet silver tabby cat befriends a pair of whimsical garden gnomes. 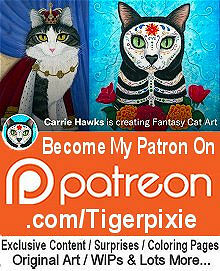 They pose together for a charming portrait in front of..
Garden Friends - Prints - A sweet silver tabby cat befriends a pair of whimsical garden gnomes. They pose together for a charming portrait in front of..
Garden Friends - Limited Edition Canvas Prints - A sweet silver tabby cat befriends a pair of whimsical garden gnomes. They pose together for a charmi..
Garden Friends - Original Painting - Size; 12" x 16" Medium; Acrylic on Canvas Sheet. 2011- A sweet silver tabby cat befriends a pair of whimsic..